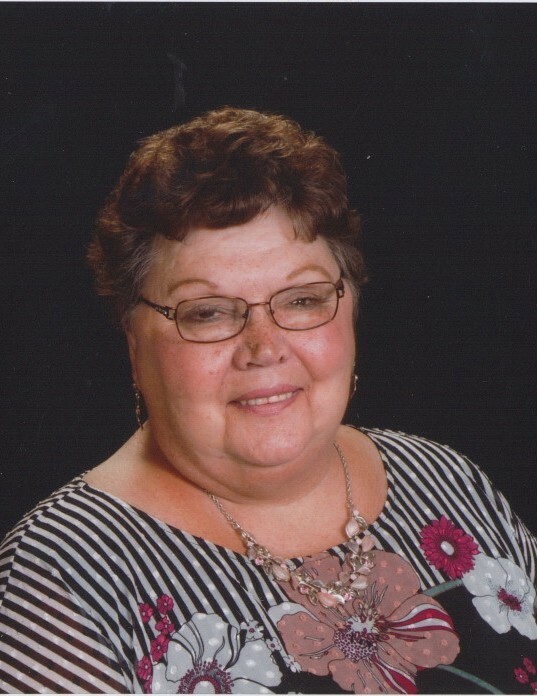 Marian Theresa Schmitz, 73, of Alexandria and formerly of Kandiyohi, died Saturday morning, January 26, at St. Cloud Hospital. Mass of Christian Burial will be held at 11:00 a.m. on Thursday, Jan. 31, at the Church of St. Mary in Willmar. Interment will be at Fairview Cemetery in Willmar. Visitation will be from 5-8 p.m. on Wednesday, Jan. 30, at Peterson Brothers Funeral Home in Willmar and visitation will continue for one hour prior to the service at the church. Marian Theresa Schmitz was born on April 28, 1945, in New Ulm to Lester Peter and Angeline Regina (Sellner) Weber. She grew up in Gibbon and graduated from Gibbon High School in 1963. On June 8, 1965, Marian was united in marriage to William “Bill” Schmitz at St. Andrews Catholic Church and made their home in Fairfax, Kandiyohi in 1979, and settled in Alexandria in 1997. She worked at 3M in New Ulm, ADC in Fairfax, then had jobs at Toro, Gurley’s Cookie Co., and Molenaar Inc. in Willmar. Marian was a past member of St. Andrews Catholic Church in Fairfax, St. Patrick’s Catholic Church in Kandiyohi, and St. Mary’s Catholic Church in Alexandria. She enjoyed crafts, ceramics, cooking, baking, watching the birds at the bird feeders, playing card and dice games- especially Farkle, and had a fond love of chickens. 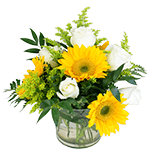 Marian had a passion for flowers and took pleasure in gardening, and had a keen eye for decorating. She would decorate the home for every season and occasion, and took special interest in re-arranging the furniture...quite often. Most of all, Marian loved to care for her family. She is survived by her husband, William “Bill” Schmitz of Alexandria; son, Bill (and Barb) Schmitz of New London; son-in-law Jim (and Amy) Heidecker of Keystone, SD; grandchildren, Raquel Schmitz, Allison (and Fiance Brandon Nelson) Schmitz, Tiffany (and Coty) Milhausen, Christopher Schmitz, Mitchell Heidecker, Marissa Heidecker; great-grandchildren, Tayva, Tate, and Talia Milhausen; brothers, Lloyd (and Luann) Weber of Brownton, Leon Weber of Winthrop, Marvin (and Jane) Weber of Lafayette, Ronnie (and Leslie) Weber of Gibbon, Richard Weber of Fairfax, Dennis Weber of Fairfax, Paul (Dawn) Weber of New London; brothers-in-law, Charles (and Gail) Schmitz of New Ulm, John (and Kathy) Schmitz of Fairfax; sisters, Doris (and Jim) Zitzmann of New Ulm, Elaine Kenyon of Henning, Jenette (and Jim) Scoates of Lake Lillian, Donna (and Larry) Frederickson of New Ulm, Barb (and Keith) Foster of New Ulm; and many other relatives and friends. She was preceded in death by her parents; daughter, Lisa Heidecker in 2014; brother, David Weber; and parents-in-law, John and Leona Schmitz.